Road trips can be really exciting … for about 20 minutes, until the “are we there yet” and “I’m bored” comments begin to roll in. Sure, you could let kids fire up a game or movie on their tablet, but let’s face it: Kids get enough screen time these days. Besides, gazing out the window means they will get a better sense of going on and adventure as they watch the scenery change and spot buildings and landmarks that are unfamiliar. How to get kids to set down the tech for at least a good part of your trip? ActivityHero gathered these 7 great games and activities that kids love — and some are even fun to play well into their teen years! Don’t tell the kids, but these activities also improve their powers of awareness and observation, memory, and fine motor skills. Be sure to play at least a few of the ones that involve the whole family, such as the Alphabet Game. They allow for some silly interaction between parents and adults that is sure to start your trip off with miles of smiles. Heading down a highway? That can make for boring viewing, to be sure, but it’s a great forum for this car game, which enables kids to practice geography, memorization, writing, and more. 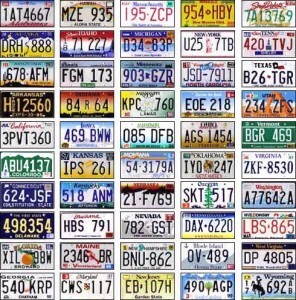 In this game, passengers check out the license plates of vehicles nearby and attempt to find at least one plate per state. To begin, have kids make a list of all 50 states. 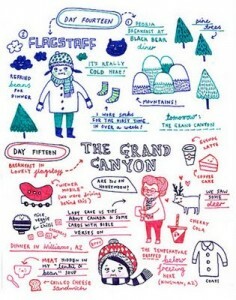 They can hand-write it during the trip, or you can prepare sheets ahead of time at home. To make it more challenging, see if the your kids (and you!) can name all of the states without looking them up. Next, give a copy of the list to each child. If you have little kids who can’t read, you can print the photo shown here and have them look for states by their first letter and their license plate color and image. As each child finds a plate from a new state, they cross it off their list. The first one to complete all 50 states or get the highest number crossed out is the winner. Alternate version: Instead of a worded list, give kids a printed black-and-white map of the states (widely available online) and have them color each state as they spy a license plate from there. You can also use the map to point out where you’re headed, as well as the route you’re taking, so your child can track your progress. BONUS POINTS: Download one of the many “50 States” songs (or states and capitals songs) to play in the car, too. By the end of the trip, you all might be able to name them quickly … even it it’s off-key. This game can go fairly quickly, but it’s one your kids can play over and over until they tire of it. It’s especially fun for little ones just learning their ABCs, since they’ll be proud to show what they know. To play, kids will try to find each letter of the alphabet — from start to finish — by looking at street signs, billboards, highway markers, license plates, car or truck logos or artwork, and any other item with wording or letters. For example, a sign that reads “Albuquerque” would count for letter A. Another that says “Bus Stop” would count for B, and so on. The alphabet must be completed in order, which means it can be challenging when you get to Q and Z, unless you do happen to be near Albuquerque or Zion National Park. It’s more challenging if you can accept only first letters of words, but you can also allow kids to find consecutive letters within the same word. In this case, Albuquerque could count for A and B. Alter the rules as you like, but be sure everyone knows them! Kids can either work together to finish one alphabet or each complete their own in a race to see who finishes first. Who can resist the silly stories that ensue with Mad Libs? 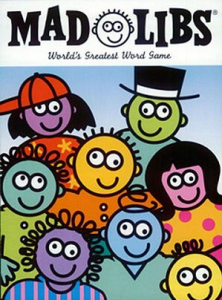 A tried-and-true favorite for over 50 years, Mad Libs can still entertain every generation in vehicles, at rest stops, in the lobby of a restaurant, or in a hotel room while waiting for a turn to brush teeth. Purchase your own book of Mad Libs at your favorite book store, visit the website (Madlibs.com) for free downloads, or add the Mad Libs app to your iPhone or iPad. Kids will practice language and terms, such as identifying the difference between a noun and an adjective. If you’re traveling during the school year, encourage them to bring their vocabulary books or lists from school and find the funniest uses for new words. Give each child a notebook and crayons. Or create a homemade travel journal using construction paper and office paper, punching holes in the spine and linking them with yarn. Each time you enter a new state, encourage your child to draw a picture of something they spot, and ask them to write a few memorable things that they liked about that state. Older kids can log the trip in greater detail. Did you stop somewhere for lunch or dinner? How was the food? What sort of things did you see there that are different from those back at home? Not only will this help you recall good times when you review them a few months later, but it also will allow you to return to favorite spots if you make the same journey again. This is a great activity for the whole family, except perhaps the driver who should save their attention for the road ahead. One person starts the story with a noun that begins with the letter A, for example, “I went to Atlanta.” The next person repeats the story and adds on with the next letter of the alphabet, such as “I went to Atlanta to see a buffalo” and so on. See how long you can keep the game (and the story) going. Kids will exercise their memory and concentration with this game. If you complete a particularly funny story, one of the older kids can write it down after the fact, recording it in their travel journal so you all can have a good laugh later. Can I get an F for fun? There’s a reason that this game show has existed since 1983! Next, have passengers take turns trying to guess one letter at a time to reveal the answer. If they can solve the puzzle first, they win! Kids will practice reasoning and spelling with this game. This is also a good way for parents to learn what each child is hoping to do, so everyone will have a fond memory when the vacation is over. BONUS POINTS: It’s always nice for parents to have one “date night” during a vacation! You can use ActivityHero to help you find a drop-in session or a day or evening class at your destination, where your child can a special activity while you savor a meal and some couples-time at an upscale eatery. 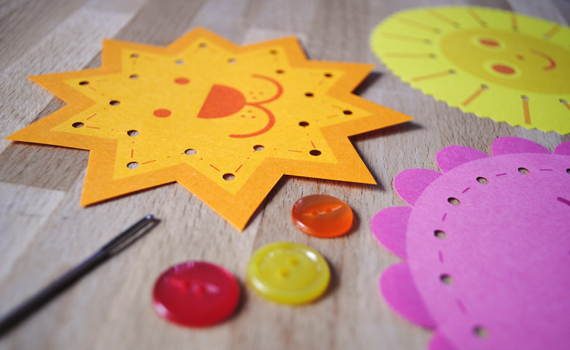 If you’d like kids to practice fine motor skills, pick up some of these colorful cards at a craft store or toy store. Or work together with your kids to construct some homemade ones prior to the car ride, using these instructions. All you’ll need is a hole puncher, some thin cardboard, a thick plastic needle, and some colored yarn. Next, use the hole puncher to place holes around the outline of the picture, locating them about an inch apart and an inch from the edge. Take these cards, along with the plastic needle and yarn, along on your trip. If you don’t have a plastic needle, simply wrap some tape tightly around the end of the yarn … or use a thin shoelace, which will be easy to thread through the holes. 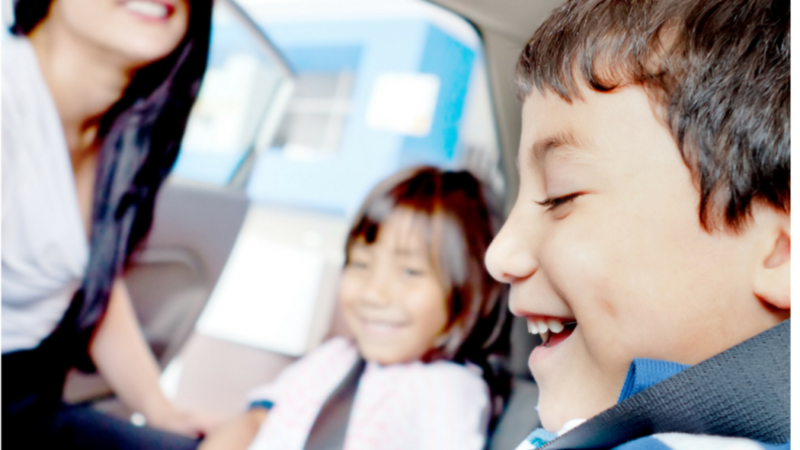 What fun games do YOUR kids love to play during road trips? Share your ideas in the comments to help other parents keep their kids happily amused! And for more car activity suggestions, check our recent posting on kid-friendly, screen-free podcasts to keep little ones entertained. ActivityHero has updated schedules on popular kid’s activities. Customize your search by your child’s age and discover convenient providers near you.